Whether you're currently working on a Microsoft Edge extension or have already published one, the following tips and tricks might come in handy. In the Windows Dev Center dashboard, you can find a direct link to your extension in the Microsoft Store. This link can be useful for advertising and sharing out your extension. 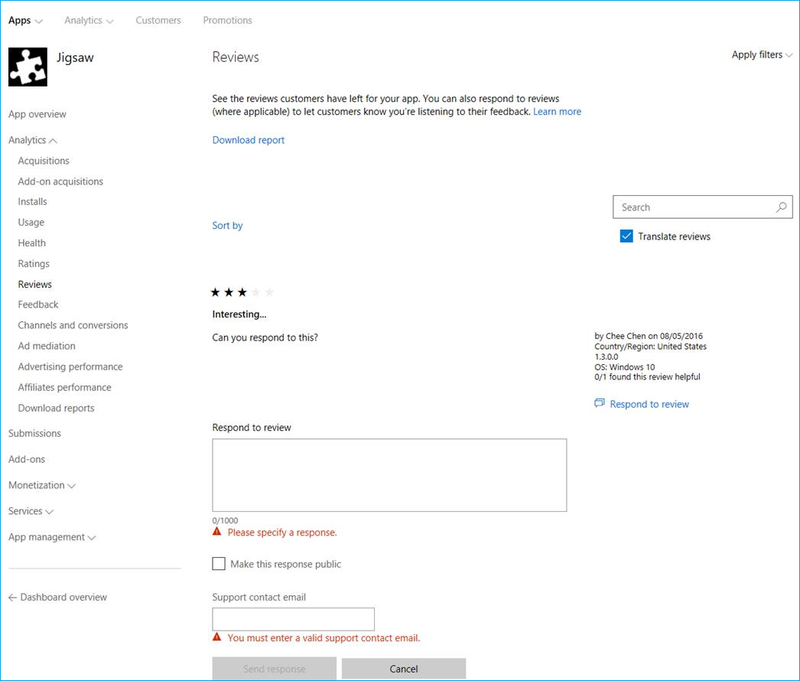 When creating your extension, make sure you keep in mind the guidelines for submitting to the Microsoft Store highlighted in the Microsoft Store Policy. Microsoft Edge extensions also have an additional set of policies to follow seen here. You can add keywords to your extension submission to imporove its discoverability through searches. For example, "Microsoft Edge Extensions" and "name of my extension". This can be be done in the Windows Dev Center under the description section of your extension. These keywords will need to be added for every language your extension supports. You can automate and streamline your submissions to the Microsoft Store by using the new Microsoft Store Submission API, which allows you to update apps/games, add-ons (in-app purchases), and package flights through a REST API. Check out the documentation and samples or use the open source Submission API VSTS extension to get started. You will need to substitute <PFN> with the Package Family Name of you extension. This can be found under the App identity section for your extension in the Windows Dev Center. Log in regularly to check your user reviews and ratings. While the UWP app will only have info on the current user market, logging into the Windows Dev Center will display average rating across all markets. You can respond to user reviews in the Microsoft Store through the Windows Dev Center's dashboard. Navigate to your extension and under Analytics select Reviews. A link will appear underneath each review that will allow you to respond directly to the customer. This channel of communication enables you to offer feedback, resolutions, or send a thank you for the review!